During your first visit, our nurses will ask questions about your pet’s medical history and may perform preliminary tests (tear test, glaucoma test). 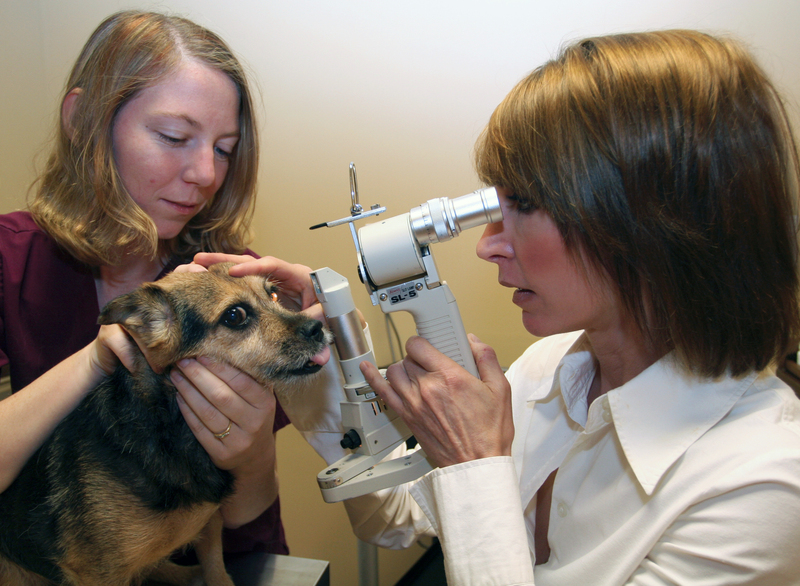 Then Dr. Warren will examine the pet with specialized ophthalmic equipment including the slit lamp (to examine the front of the eye) and indirect ophthalmoscope (to examine the retina). Dr Warren will discuss exam findings, diagnosis, and treatment plan.